The ORDNANCE PAMPHLETS are designed for the model builder . They show detailed photographs and drawings of some of the more common weapon systems of World War 2. Each pamphlet is 8 pages, and all information is from official US Navy publications. See the Bu series of plans for a large (1 1/2'=1" scale) plan of a BB catapult drawings. THESE LARGE SCALE WEAPON DRAWINGS ARE TAKEN FROM OFFICIAL US NAVY PLANS. EACH SHOW GENERAL ARRANGEMENTS OF THE WEAPON AND ARE IDEAL FOR THE DETAILED MODEL BUILDER. ALL (Only WE-1 thru 9) ARE PRINTED ON 11"X17" SHEETS AND SHOW DIFFERENT VIEWS OF THE WEAPON. Others are blue prints. These are basic information sheets of some of the most popular US Navy weapons. 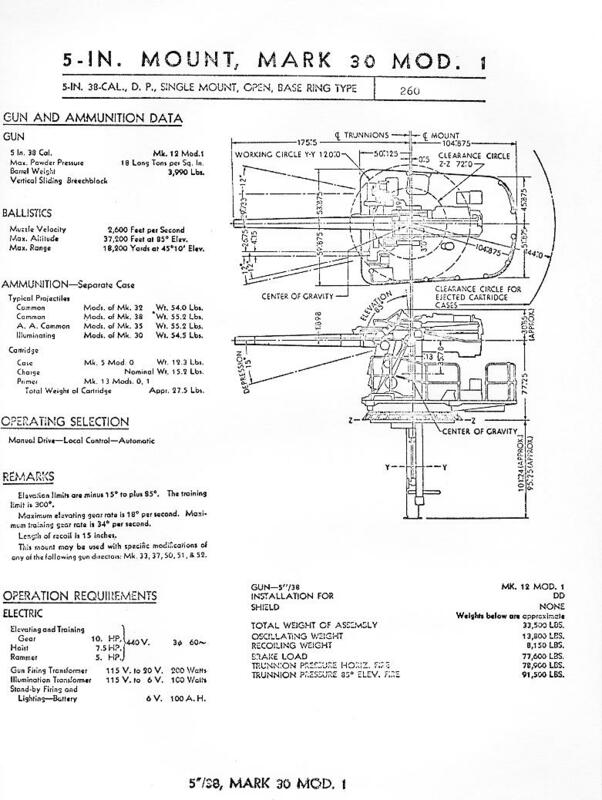 Each sheet contains a basic drawing of the weapon and general information. Ideal for the model builder and the naval buff. All sheets are taken from official USN publications. 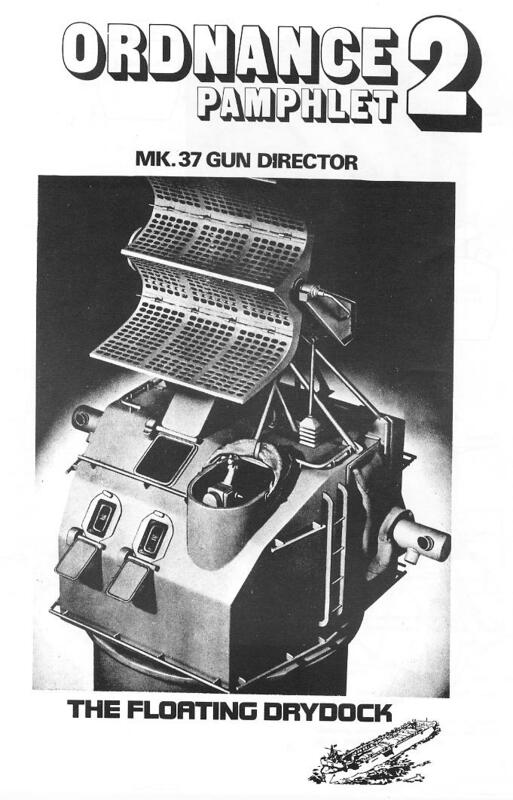 We now offer the entire GUN MOUNT and TURRET CATALOG dated March 1945. This a pdf copy of the USN Ordnace Pamphlet 2nd Revision. This 564 page catalog contains all Guns and Turrets in service by the USN. This pdf cd lets you print out any page you want in the pdf format. 16"/50 cal three gun turret BB61 class"
This 1/96 scale plan shows both plan and profile views of the turret drawn in scale with all details plus a drawn of the gun barrel with dimensions. Show profile, plan sections, controls and details, 1/48 sc. Show profile, plan, yards, platforms, of both fore and main masts 1/48 sc. Show profile, plan, Stacks and Towers both 1/48 sc.